A monument dedicated to the Royal family in the heart of Paris. 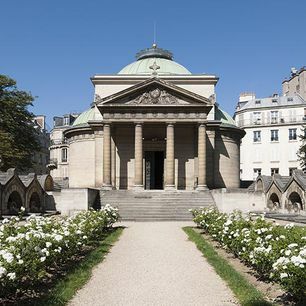 Situated in the heart of Paris on Square Louis XVI, the Expiatory Chapel was built during the Restoration to commemorate the Ancien Régime and the French Revolution. Work commenced on this outstanding Neoclassical and Romantic building in 1815, under the orders of Louis XVIII. It is dedicated to the memory of the Royal family, and lies on the site of a former Revolutionary cemetery where Louis XVI and Marie-Antoinette were burie in 1793, as were Charlotte Corday, the Comtesse du Barry, and Olympe de Gouges. Open for groups on other days, booking required.